Peonies are known to most gardeners for their spectacular flowers and luxuriant foliage, especially throughout spring, as the colorful shoots rapidly unfold and go through their almost sensuous expansion to the fullness of flowering. 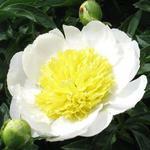 In these respects any peonies are predominant players in the rising crescendo of the early garden. 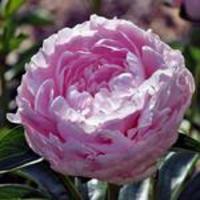 However, when it comes to selecting among the peonies for particular uses, the task becomes more complex, for there is a rich diversity of choices available. In order to take all of this diversity into account, it is helpful to see them as they grow. But, this is not always available. Accordingly, in preparing our descriptions we give priority to information felt to be useful in choosing cultivars to be placed in the more viewed areas, where grooming work is a priority. Please feel free to contact us with your additional questions. While selection tends to be focused on the flower, we should not lose sight of the foliage and its effects in the landscape. Big foliage goes with big flowers, tending to be a dominant factor in the border as long as it is present. The foliage makes the food needed for next year's flowering. Long selected domestic sorts and some of the species often have foliage that remains green all season. However, some species and their hybrids have the habit of dying off in mid-year, particularly if subjected to water stress, as in the presence of drought and high temperatures. This response is an adaptation for survival, especially notable among the species from the Mediterranean region, not surprising when you consider that peonies are naturally cool season growers. In our generally hot and dry Midwest summers a bit of high shade may keep such varieties in condition a bit longer. Supplemental irrigation may also help to keep them in active growth. When the foliage becomes unsightly, simply groom it out. In the mixed border, plan for later maturing ornamentals to cover the spaces. 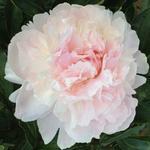 Regarding peonies and shade, we see a great deal of advice about how peonies require full sun. That is how we must grow the majority of ours -- in open fields. However, plant appearance may be helped by summer wind protection and they can perform very well in moderate shade, so long as there is adequate soil fertility and moisture throughout the growing season. One additional comment, the heavier, full double flowers will collect and hold a substantial weight of water, overloading the stems. Even sturdy stems may fall or break from the weight. For the more viewed portions of the landscape, growing rain resistant sorts will reduce the grooming work. Mechanical support can be useful, but not entirely so. Net wire circles or metal frames hidden in the foliage work well when flower weight is close to the bush. Longer stems will often bend and may break. 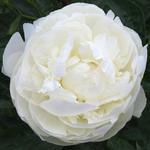 In such kinds, staking each stem may be the only way to keep the opened flower pleasingly presented above the bush. Many of us are unable or unwilling to devote that level of care.